I know that most of you travel a lot more than me these days. 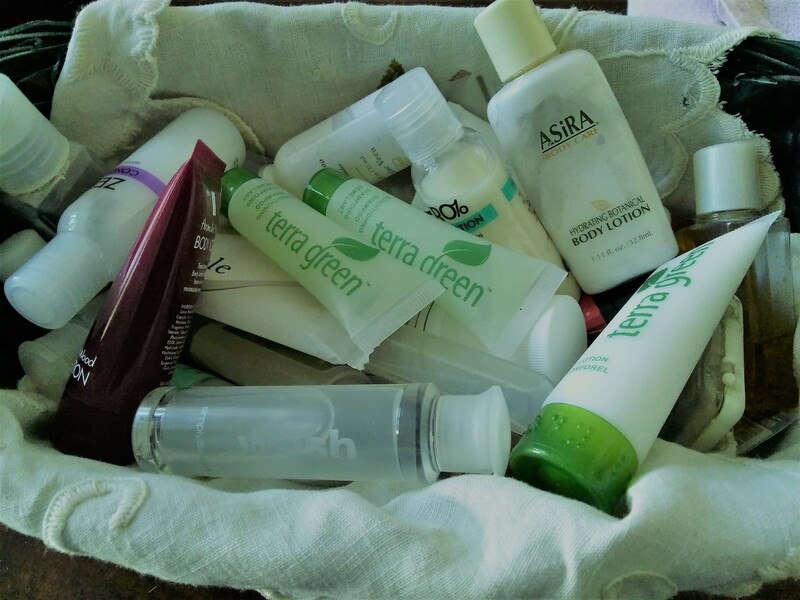 So, I also know that many of you secretly have your own little stashes of toiletry items. Well, now, you can truly do something with them and pay it forward. Beginning this fall, we will collect toiletry items at three college fairs, which will be donated to specific organizations in those communities. In the spring we will pick three new communities. Admissions professionals attending these college fairs are asked to bring donations to the fair. There will be baskets or boxes for collecting. Donations will, more than likely, be presented at the end of the fair to the recipients or we will make special deliveries. September 25 – Marshalltown Community College – House of Compassion - A nonprofit organization that helps people in need of food, a place to stay, or household items, responding to needs of the community people and advocating justice and dignity for all. October 11 – Lewis Central High School – Micah House – Council Bluffs – The only short-term emergency shelter serving families in the Omaha metro area. Families and single women who enter MICAH House are provided an array of services including nutritious meals, counseling resources, an on-site health clinic, and a trauma-informed (BUDDY) play program. We will pick new communities, as much as possible, each season. Additionally, we may pick new items to collect each year…toiletries, food, school supplies, books. If you have suggestions or ideas, pass them along. Bring one item or bring several - make it an office team effort and service project. It can be travel-sized items or regular sized. The possibilities and time given to it are all up to YOU. Remember, the smallest thing can make a huge difference to someone. Put yourself in their shoes.